The reputation of Tom Wolsey (1924-2013) as the boldest and most innovative editorial art director of his generation is tightly enmeshed with Town magazine. 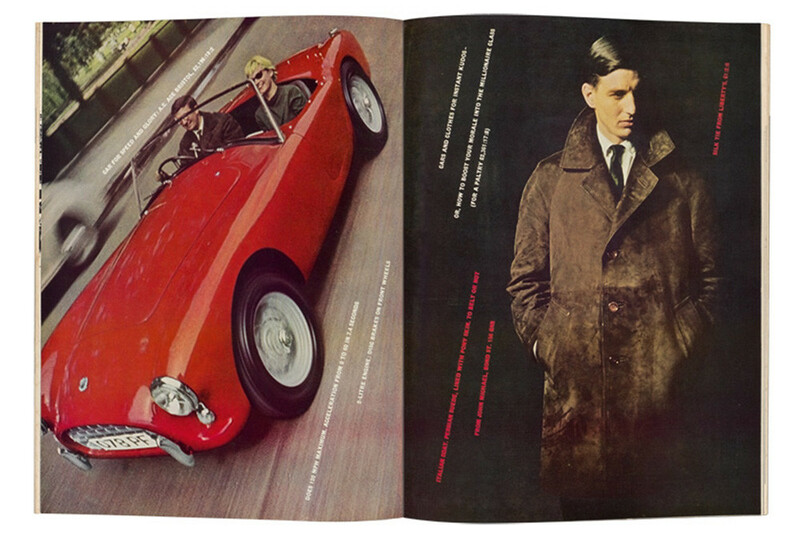 In the three years between 1960 and 1963 Wolsey developed an audacious design that underpinned an editorial policy pitched at a new generation of young metropolitan men. 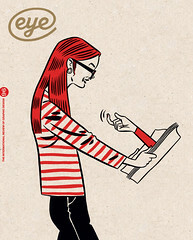 Wolsey’s status is contextualised by William Owen (author of Modern Magazine Design), who describes Town, together with the German Twen and French Elle, as one of the three outstanding midcentury European magazines. Yet, in comparison to his peers, little is known about Wolsey. Few people are familiar with his work now beyond recognising some iconic spreads and, perhaps, Mary Quant’s enduring daisy logo. But he was in the vanguard of a small group of visionary designers who led the changes that reshaped British graphic design and contributed to the social and economic changes that took place at the end of the 1950s and early 1960s. 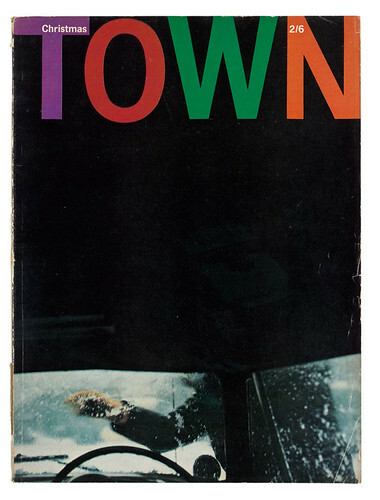 Cover of Town, Christmas / January 1963. Photograph: Saul Leiter. Art director: Tom Wolsey. Top. Town, September 1960. Wolsey’s dynamic lines of angled type bring energy and a sense of aspiration to this feature. The static studio shot (by Terence Donovan) of a casually dressed man contrasts with a picture of a speeding car.